Businesses around Salt Lake City are “greening” their operations with the help of our e2 program. 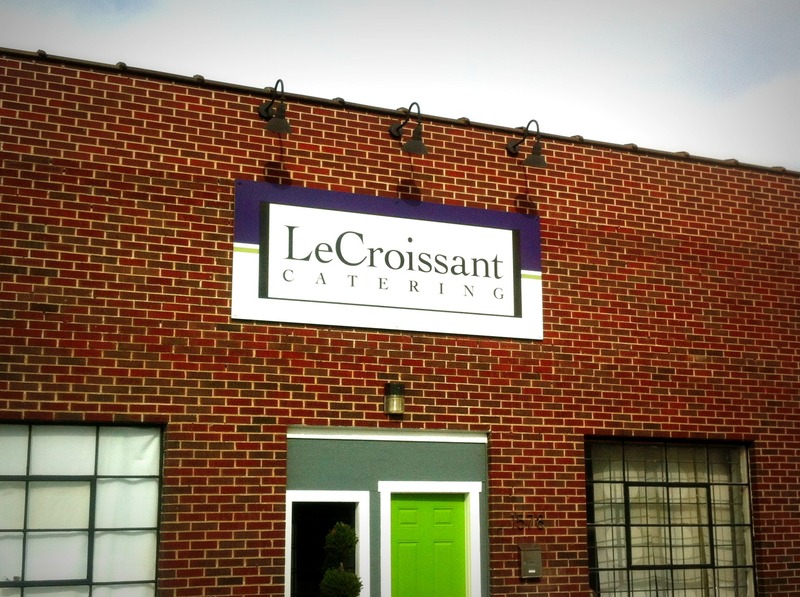 Le Croissant Catering is one of those success stories we just had to share! From purchasing renewable energy through the Blue Sky program, to retrofitting their workspace with high-efficiency lighting, and now exploring options for a more efficient heating and cooling system, Le Croissant has worked diligently to reduce their environmental impact. Of all the changes that this company has made, perhaps the most notable is the sustainability efforts to green their waste stream. Previously, items like food waste, disposable utensils, and basic trash materials were put into an overflowing dumpster and everything was sent to the landfill. Through consultation with Momentum Recycling, another e2 business member, Le Croissant’s now saves 90% of waste from the landfill. 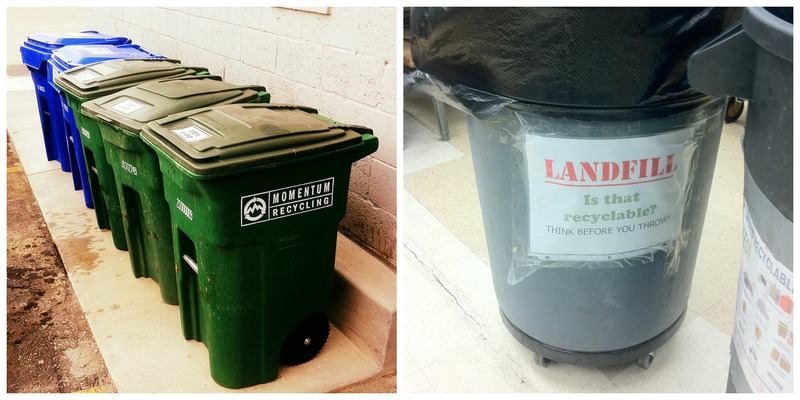 They do this with separate containers for mixed stream recycling, green waste, glass, & landfill. This not only allows for Le Croissant to maximize the amount of material that gets recycled, but director Chris Sanchez says that it has made the waste pick-up area of the business much cleaner. Of course, such a dramatic transformation of their waste stream required that the employees be educated about what can be recycled, and how to ensure that the correct material finds its way into the proper receptacles. Le Croissant accomplished this by placing clearly marked signs on various containers throughout the kitchen and office spaces so that each employee can see what goes in each container. Changes were made in the kitchen, too. 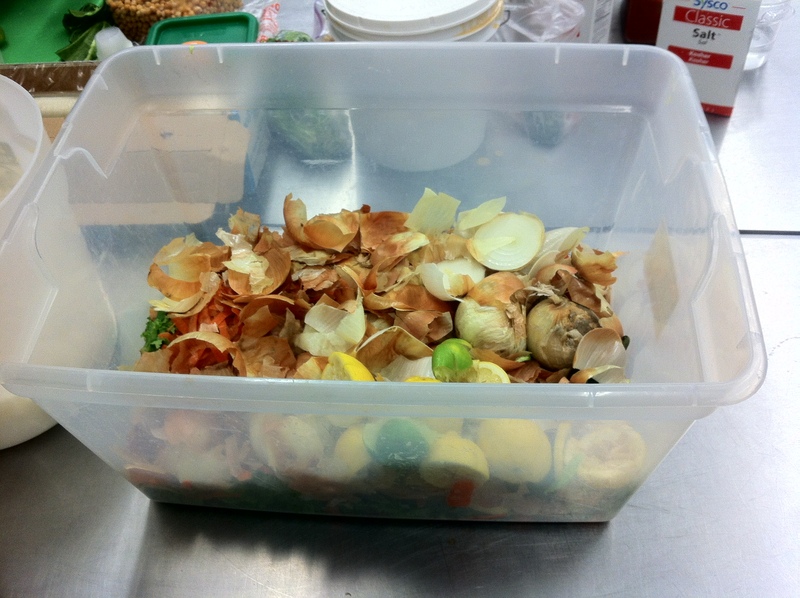 Employees have access to a large container within arm’s reach where they can put food scraps that will be transferred to the green waste containers. Sanchez says that the employees have fully embraced this new model, and appreciate that the company has made recycling a business priority. However, as a catering business, much of their work takes place off-site, away from their array of recycling containers. They continue their efforts off-site by using their own re-usable plates and utensils whenever possible to minimize the production of waste. When this is not an option, Le Croissant features biodegradable materials made from bamboo and corn starch. Le Croissant also works with local farmers to provide local ingredients in their food, and they make a conscientious effort to partner with other organizations that prioritize sustainability practices. 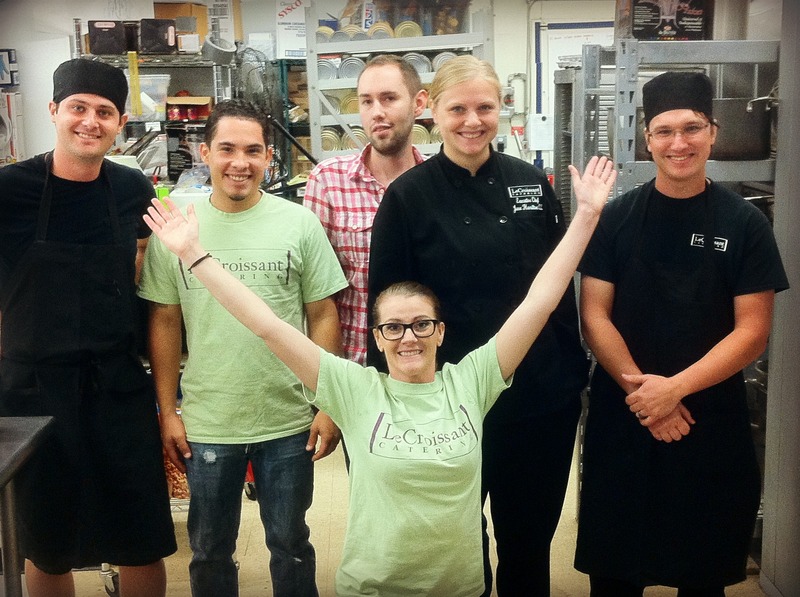 All of these efforts have proven not only important to the staff of Le Croissant, but to their clients as well. Sanchez says that many of their new clients have approached them not only for their excellent services as a catering company, but because of their strong sustainability commitment. Likewise, many of their previous clients have maintained their loyalty to the company based on these efforts. We’d like to thank Le Croissant for their bold and diligent contribution to sustainability practices and for paving the way for a greener Salt Lake City.